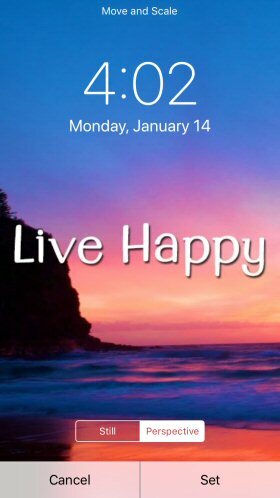 LLERRAH Provides a great selection of beautiful and inspiring wallpapers for your iPhone and iPad. 2. 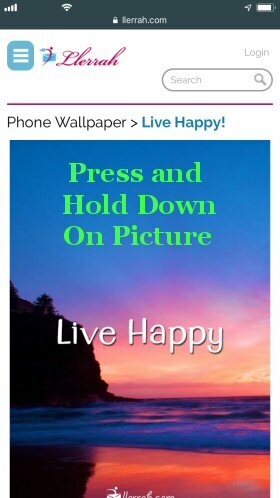 Once you have chosen a wallpaper, press on the picture and hold your finger down until Save Image pops up. 3. 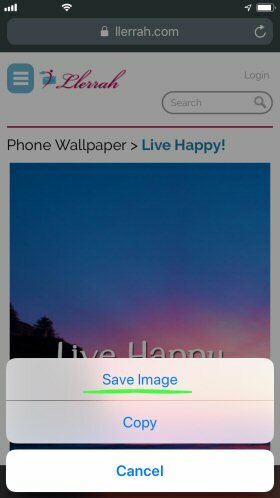 Select "Save Image" from the bottom menu which will save the picture on your phone. 4. 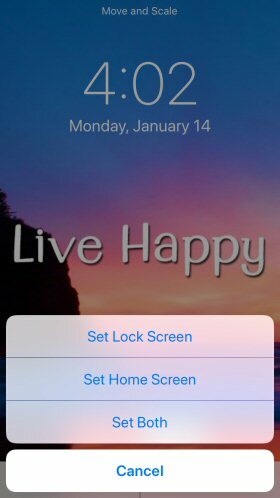 Go back to the home screen and tap the Settings button. 5. Scroll down to Wallpaper and select it. 7. Choose All Photos and scroll down to the bottom for the latest picture and select it. Next click the Set button. 8. You are then prompted to set this picture as your Lock Screen, your Home Screen, or both. Select your option. That's it. New Wallpaper will be set.